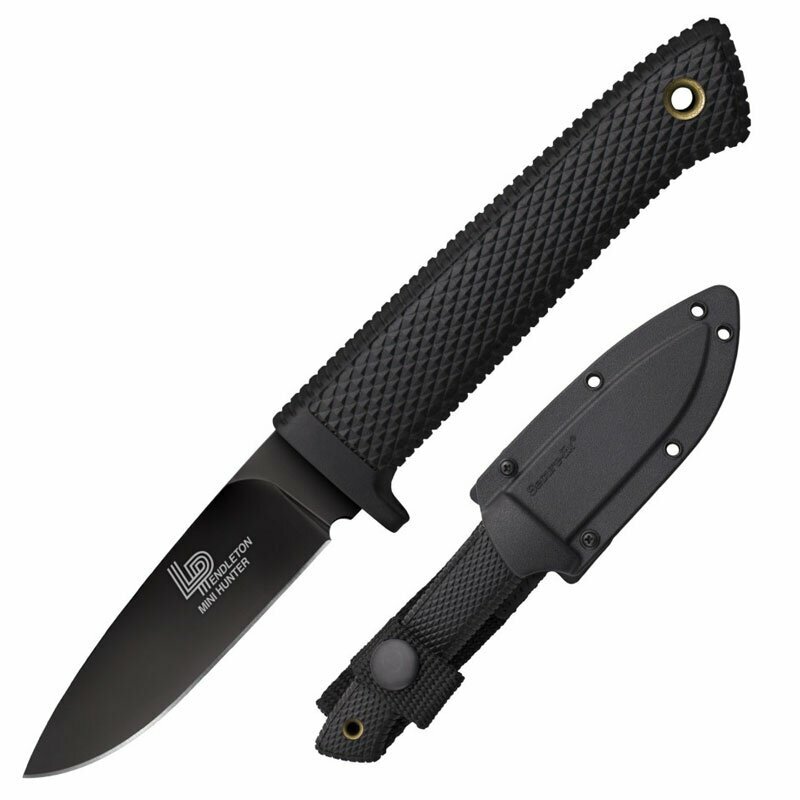 Knife Cold Steel 3V Pendleton Mini Hunter(36LPCM) High quality Cold Steel knives, throwing knives, tactical knives. The Mini Hunter is an indispensable tool that makes a perfect addition to any hunting pack or survival kit, while being innocuous enough to wear on your hip without drawing unwanted attention. Our Mini Hunter pares down a functional hunting knife to the smallest size that practicality allows. Despite its diminutive size and unassuming appearance, this excellent hunting knife is capable of skinning, dressing and processing even large game. The Mini Hunter is an indispensable tool that makes a perfect addition to any hunting pack or survival kit, while being innocuous enough to wear on your hip without drawing unwanted attention. The Mini Hunter comes complete with a tough, weather resistant Secure-Ex sheath, which locks it safely in place, while remaining light enough to carry 24 hours a day. Our Mini Hunter is also available in VG-1 Stainless Steel.